I’ve been seeing a lot of challenges on blogs lately; parenting challenges, marriage challenges, faith challenges, etc. I started thinking about it and wondered, why aren’t there any challenges for writers? So I decided to create one! My challenge is for writers who feel like they aren’t quite as enthusiastic about writing as they use to be. It’s for writers who want to improve their craft. It’s for writers who want to connect with other writers. It’s for people who want to explore whether or not they really want to commit to writing. I hope you’ll join us! I’m planning the kick-off for the second week in May. If you’d like to officially commit yourself to the challenge, leave a comment below. And if you want to make sure you receive the tasks, you can always sign up to follow my blog with your email address. That way they’ll be sent directly to your inbox. I’m super excited about this, and I hope you all are as well! I’m pretty sure I’ve got the 12 topics selected, but if there is something you’d like to be included, you can always leave a comment! 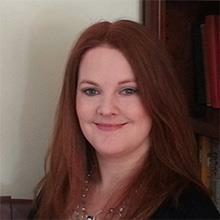 Interview with literary agent Jessica Sinsheimer of the Sarah Jane Freymann Literary Agency. Today, we’re interviewing literary agent Jessica Sinsheimer of the Sarah Jane Freymann Literary Agency. Thank you so much for being here, Jessica! Jessica: It was actually completely by accident. My college roommate had an internship with a very large, corporate, powerful agency–the sort of office that reminds one of Mad Men, but without the cool retro clothes. Anyway, she finished the internship and recommended me as her replacement. The same roommate got another internship at a medium-sized publishing company (they do very serious books but, at meetings, sometimes shoot rubber bands at each other), and then gave that to me. After that, I was hired by a tiny, radical magazine on the Upper West Side that, with (what should be frightening) regularity, received death threats. (Everyone there is fine, to the best of my knowledge.) When I graduated, I was hired as an assistant at my current company and, soon, Sarah Jane–the most supportive, lovely boss on the planet–started encouraging me to take on my own projects. I was initially terrified–What if I ruin an author’s life? I kept thinking–but, then, I fell so hard for a book–Falling Under by Gwen Hayes–now in seven countries!–that I just wasn’t scared anymore. Jessica: 1. I’ve been thinking a lot about the ratio of dialogue to narration, and I’ve come to the conclusion that more than 1:3 (lines of dialogue to lines of narration) in the first few pages almost never works for me. It can be done well, of course–but that’s rare. I’m also a fan of what I call the “voiceover opener,” like in the beginning of a movie–something that gives a sense of the theme or tone of the book, versus throwing us right into a scene that may or may not ground us in the story. This shouldn’t go on for more than a few paragraphs, though. 2. I’ve seen so many very specific, niche books open with scenes that are incredibly generic (an alarm going off and the character getting ready for work, for example–I get at least one of those a day). It’s important to me that, somewhere in your first scene–ideally in your first page and first paragraph–I get a sense of the tone of the book. If your first scene could work for any other book in your genre (with names changed), then think about specificity. 3. I know agents often say to start with action–and it’s true; I don’t want to spend the first thirty pages watching nothing happen–but too much action without enough description can be problematic, too. It’s hard to care about characters (especially characters in a really high stakes situation) if I have no idea who they are. I received a first chapter from a writer who is very talented–but we were thrust into a hostage situation by sentence two, and I had no idea who the characters were. If you’re going to take me to the edge emotionally, at least give me a character I feel familiar with as a guide. I don’t want to go there alone. Jessica: I’m always happy to see fiction with active, powerful female protagonists–especially if they’re unconventional. I tend to like works for women that stretch genres–women’s fiction with a surreal bent, highbrow sentences with lowbrow content, thrillers in beautiful locations, protagonists with both brave and kind sides to them. I like scandal, mystery, intrigue, and scheming. I don’t judge by genre, but by quality–so know that it’s possible I could like anything. I’d love real world YA with an unusual bent (check out David Isersen’s Firecracker, which is amazing, or Getting Revenge on Lauren Wood by Eileen Cook–also fantastic). I like protagonists with secrets, who get revenge (but are justified), who are mischievous and great at reading the people around them. In terms of nonfiction, I love pretty much anything to do with food, and I’m surprised by how few parenting books we’ve received recently. I’d also love more travel, memoir, technology, politics, psychology, and pretty much any nonfiction with a strong narrative element. Jessica: I get these weird little hobby/obsessions for about three weeks. Right now, I’m really interested in rock climbing (indoors, of course! ), careening around Central Park on rented bikes (poor Sarah Jane has heard me talk about the unlimited bike rental program so many times), and the idea of what the NY Times calls “Hipsturbia”–walkable, green suburbs connected to commuter train lines. I’m a huge fan of the TED Radio Hour (their “Do We Need Humans?” podcast on how robots can mimic human microexpressions and stir our empathy is really darn amazing: http://blog.ted.com/2013/03/15/ted-radio-hour-asks-do-we-need-humans/). I’m thinking a lot about creating some sort of podcast station (Publishing Happy Hour?) and spend far too much time thinking about how to redecorate my apartment. I lust after ceiling medallions. Jessica: Do your research. I receive so many queries from people who don’t know who I am (love it when they call me “Dear Sirs” since, of course, I’m neither male nor plural) that it’s always a nice surprise when people know something about the agency. I know some agents think it’s a waste of valuable query space, but I don’t see how one “Dear ________, I see that you also like ___________” line can really hurt. In most cases, it helps. A huge percentage of our rejections go out because the author clearly doesn’t know who we are, or what a query should be, or the fact that we don’t represent screenplays without a book attached. Jessica: Of course! Please send query and the first ten pages (all in the body of the email, query single spaced and pages double spaced, if you can) to Submissions at SarahJaneFreymann dot com. Interview with literary agent Jen Karsbaek of Foreword Literary, Inc.
Today we’re interviewing Jen Karsbaek of Foreword Literary, Inc. Welcome, Jen! Jen: For five years before I became an agent I was a book blogger, founder of Devourer of Books (www.devourerofbooks.com). Over the years Devourer of Books became a well-regarded and – at the risk of sounding conceited – influential blog, particularly in the areas of women’s fiction, historical fiction, and upmarket (commercial-literary crossover) fiction, which gave me reasons and ways to get to know people within the industry. I was recruited to agenting by Pam van Hylckama Vlieg, one of the founding partners of Foreword and fellow blogger-turned agent. She was looking for someone with my specialties and thought of me; I jumped at the chance to spend my days being a cheerleader and advocate for books and authors I love. Jen: I need a connection to the story and a reason to keep reading. In my first five years of blogging alone I read well over a thousand books and I’ve gotten pretty good at identifying when they aren’t working for me. If I’m not compelled to keep reading then, well, I won’t. Jen: I’m getting too much historical fiction set in the United States. For some reason it tends to interest me less than historical fiction with other settings. I love, love, love historical fiction focusing on European royalty and would like to see more of it (although, sadly, probably not the Tudors or the Wars of the Roses, they are a bit oversaturated in the market). Jen: I taught second grade for two years in Chicago Public Schools for Teach for America. Jen: Social media is the new water cooler. Don’t use it to pitch agents or editors (seriously, don’t be that guy), but get to know other writers, as well as people within the industry. You may make connections or learn things that will be invaluable in your writing career. Jen: I am! I am taking submissions in women’s fiction, historical fiction, literary and upmarket commercial fiction – no YA (that is handled by some of the other great agents at Foreword). Send your query, 1-2 page synopsis, and the first 10 pages of your manuscript to queryjen@forewordliterary.com. Interview with literary agent Pam van Hylchama Vlieg of Foreword Literary, Inc.
Today we’re interviewing literary agent Pam van Hylchama Vlieg of Foreword Literary, Inc. Thanks so much for being here, Pam. Pam: I spent a few years interning at different Bay Area agencies. Then I met Laurie McLean who was at Larsen Pomada and they gave me my first Associate Agent position! Now I have my own agency formed with Laurie, and Gordon Warnock. If I can’t define the main conflict within the first pages. If the voice doesn’t draw me in. I love revising with clients. But if the book has too many things spelling/grammar check could fix I give up pretty fast. I don’t need perfect, but I do like to see polished. Pam: I’d really like some historical romance that is set in other time periods beside Regency. In YA I’d like to have a great thriller. I’m seeing tons of teen scifi , MG Fantasy, and contemporary romance. Pam: Until four years ago I mostly only read classics and literary fiction. Pam: Make sure you’re really ready to go out on sub! Patience is hard and I still hate waiting to hear about my client’s submissions J. But you may only have one shot with an agent who will love you forever. Use it wisely. Pam: You can check out my submissions policy and that of my fellow agents at ForewordLiterary.com! How this writer got a literary agent. A few weeks ago Lacey Wolfe, a wonderful romance author, contacted me. She has a lovely series on her blog called Writers Words of Wisdom, and she asked if I would write a guest post about how I found an agent. You can find the original post here. Be sure to check out all the other words of wisdom on her blog while you are there! Anyway, here is what I wrote! As any writer knows, those are magic words. If you’re anything like me you’ve spent a good deal of time working toward being able to say those words. You’ve probably even fantasized about what it would be like to have an agent. I know I did. Let me tell you a little secret; it’s just like your fantasies, but even better! My journey toward acquiring an agent started way back in 2008, when I finally finished my first complete manuscript. It was a little romance novel, that will probably never see the light of day. I queried Harlequin with it and it was rejected, so I moved on. Next, I wrote a YA fantasy, which was published by a small press. And it was exciting, but I wanted more. I wanted the big time. So I kept writing. I wrote a historical romance that’s buried on my computer somewhere. I never even queried that one. And then I wrote a dark, contemporary YA. A novel that spilled out of my heart and onto paper (and yes, sometimes I actually do still write on REAL paper! Shocking, I know!). I knew right away that this novel was different. It was the best thing that I had ever written. The agents seemed to think so too. Once I started querying, the requests poured in. I got a few rejections, revised based on their rejections, and sent out more. Then something shocking happened. I got an offer of representation. Those words still give me a chill. An agent likes MY work enough to offer me representation! And she wasn’t the only one either! Suddenly, I had a choice of agents to pick from! I chatted on the phone with them, and two agents really stood out. Michele Rubin of Writers House and Bree Ogden of D4EO. It was a hard decision because I felt like I really connected with Bree, but in the end I went with Michele because it had always been my dream to work with Writers House. We worked on revisions and were just starting the submission process when Michele told me the sad news; after 22 years in the business, she was leaving. I’m not going to lie, I cried, ate a bunch of ice cream, and then got to work. Yup, I had to re-query agents and do the whole process all over again. Having Michele as my agent certainly opened doors for me. This time when I queried agents I only had one single rejection. A part of me couldn’t forget Bree, so of course, I included her too. In fact, I’d thought about her many times since I had signed with Michele; I had really felt like we clicked. She quickly got back to me. And joy of joys, she still wanted it! I knew right away that I would probably turn everyone else down, but I went through the motions, giving everyone time to reply. No one had impressed me as much as Bree. And so last week I signed with her. It was a great decision. Her ideas for my work and my career, mesh with mine and make them stronger. I know she’s in my corner and willing to fight for me and my work. Not only that, she’s put up with my millions of questions and concerns, and been nothing but patient and understanding. Yesterday, Bree submitted my manuscript to the big publishers. In less than 24 hours, we’ve had five requests! Five! Even if they all reject it, it’s so exciting that they liked my premise and writing enough to request my novel. Okay, honestly, I’d be crushed. Secretly, I hope that they all love it and there is a huge bidding war for it! But if I wasn’t a dreamer, I wouldn’t be a writer, would I? Interview with literary agent Steve Kasdin of Curtis Brown, LTD.
Today we are interviewing literary agent Steve Kasdin of Curtis Brown Literary. Thanks so much for being her today, Steve! The “Dark and stormy night” syndrome—if a book starts with the weather I won’t get past the first sentence. Sorry, it’s just a personal thing. Opening with dazzling prose that doesn’t say anything except “look at my writing!” The writing doesn’t have to be brilliant, just intelligent. The story is more important, get right to it. A clone of something that’s currently popular but won’t be in two years—vampire romances, boy wizards, etc. Steve: Knowledge. Most writers are passionate, but few are really knowledgeable. I like to learn something when I’m reading a novel; it could be about beekeeping, pole vaulting or how to turn your microwave oven into a bomb. Teach me something. Also, teach me something deeper, what you’ve learned about life, relationships, human nature. I don’t handle traditional Romance or Sci-Fi/Fantasy but I’m open to most anything else. What I’m seeing too much of are very traditional, rigidly defined genre works, the grandmother whose cats help her solve cozy crimes, the world-weary CIA agent. I’d like to see more inter-genre mashing up. If you have to write about a werewolf, put him in Paris in the 1920s (ok, that’s a bad idea, but you get the picture). Steve: New writers are often told, “Write what you know.” I disagree; if that were true there’d be almost no mysteries (unless the author had been a cop, a detective or a murderer), and certainly no science fiction (unless the author had been to another planet!). I would invert that and say: Know what you write! Do your research, and then integrate it subtly into the story. Steve: I am open to submissions, but you’re going to have to give me 4-6 weeks to respond. Send me a query letter about what makes your book unique, a 1-3 page synopsis, a brief bio with publishing history if any, and the first 50 pages or so of the manuscript attached as a Word document. Send it to skasdin@cbltd.com.